Zazen: Za means sitting, Zen means meditation. The experience of living from moment to moment, in the here and now. 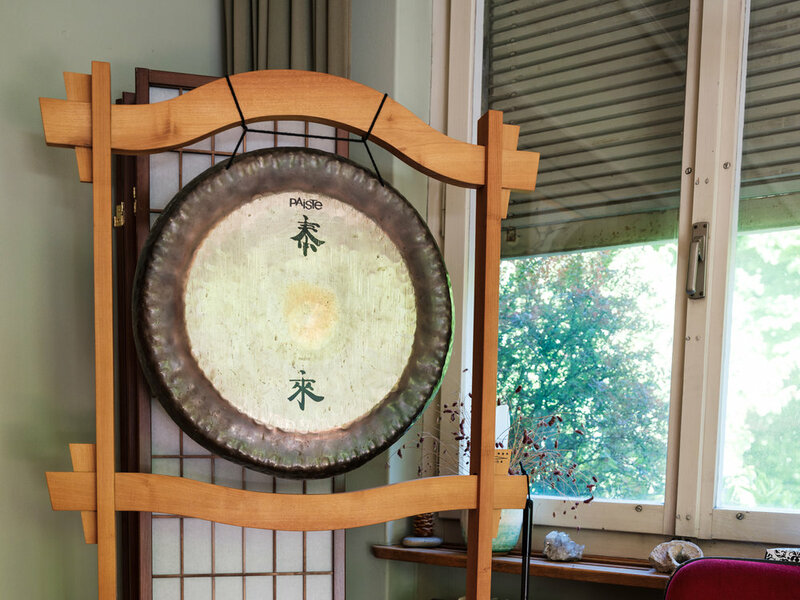 The sound of the gong announces the beginning of a meditation session. Candles and incense sticks are lit. The bell is traditionally rung three times to announce the beginning of a period of zazen and rung twice at the end of the round. Shoes are taken off before meditation. Hands are folded in what is called the Cosmic Mudra or Hokkaijoin in Japanese. The shape of the hand harmonizes the condition of the mind.